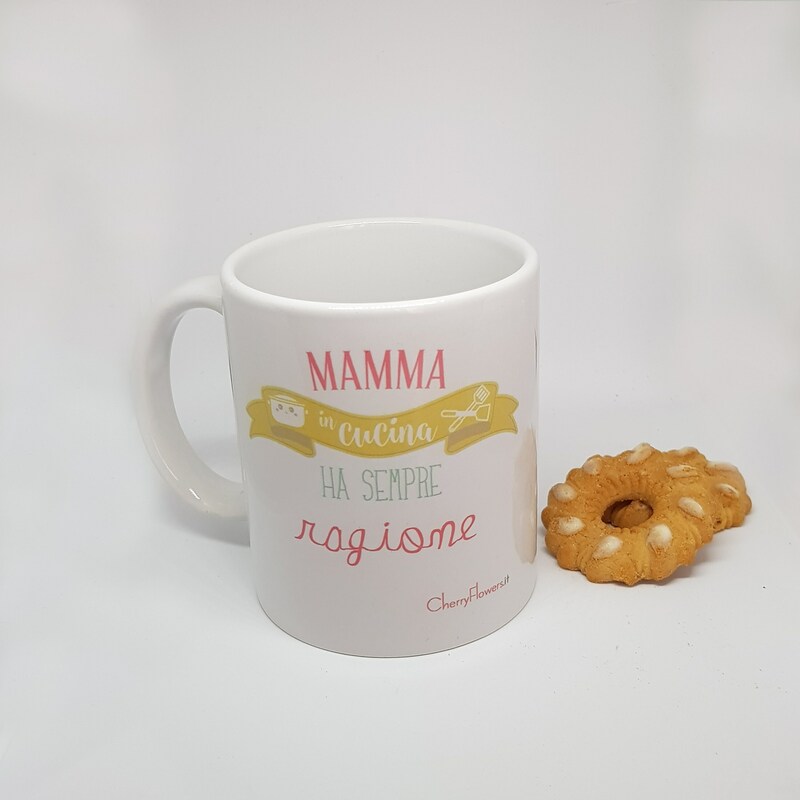 It's a classic mug, simple idea, nice and original. 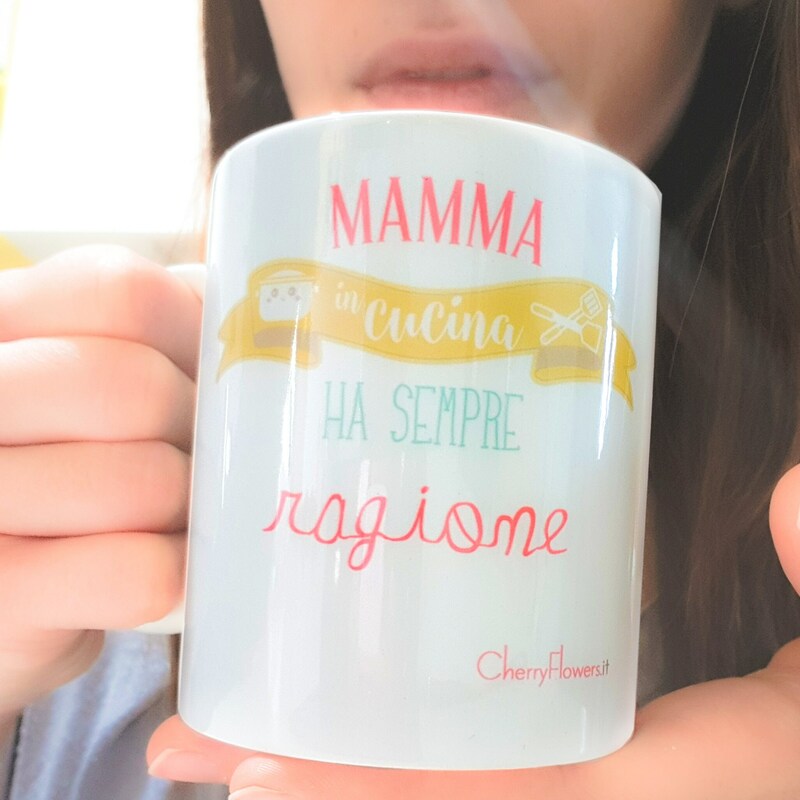 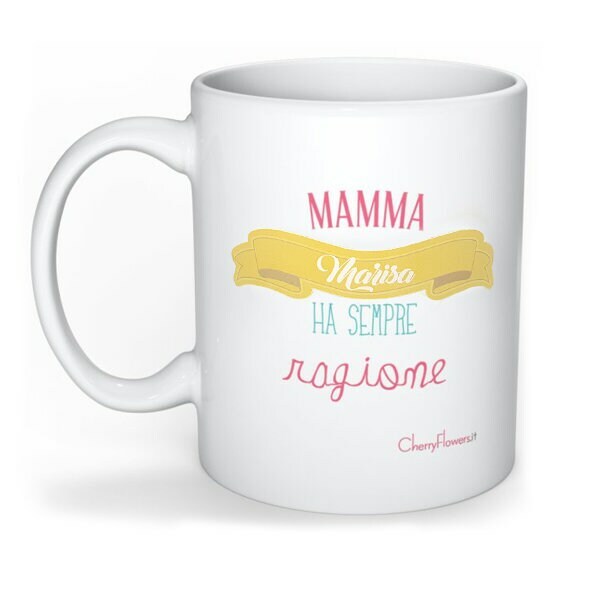 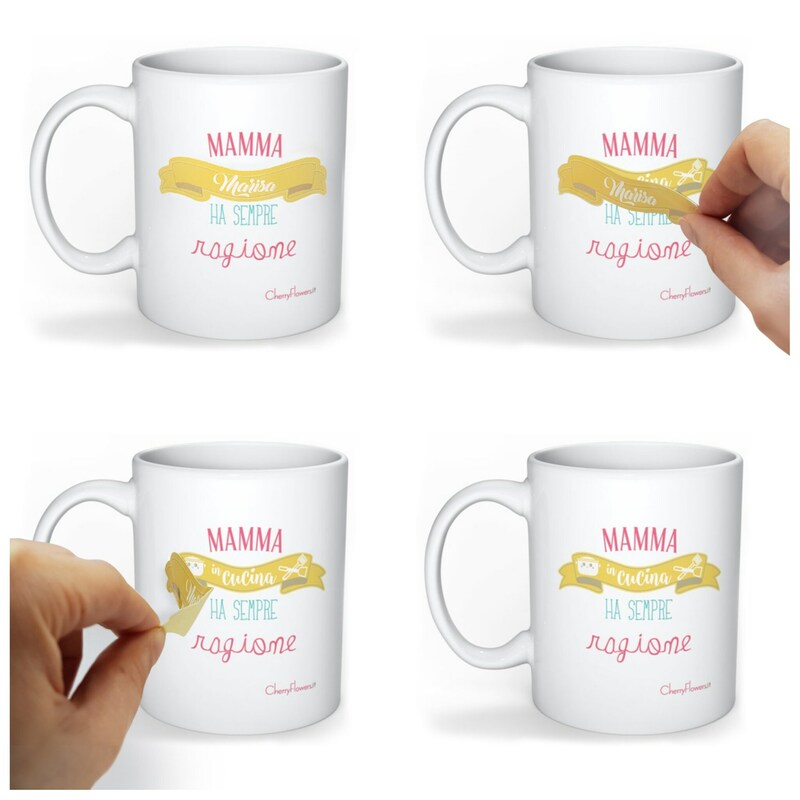 On the cup, a film will be applied with the name of the person who receives the gift, and when the mother lifts the film, she finds the real phrase printed on the mug. 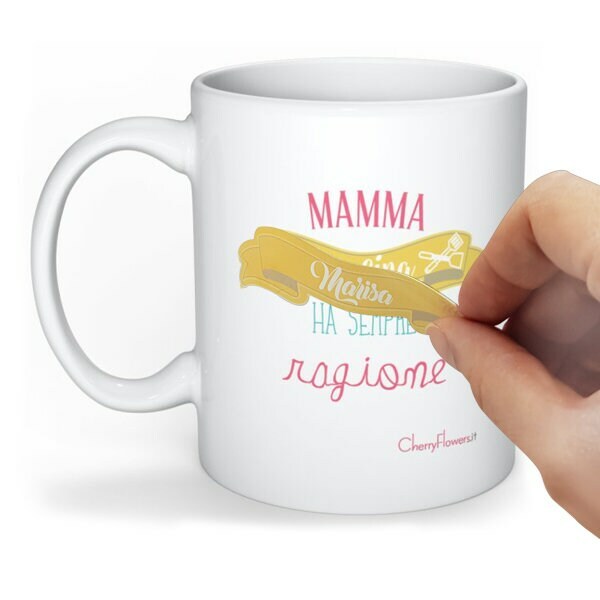 Once you have made your purchase, send a private message with the name to be inserted on the film. 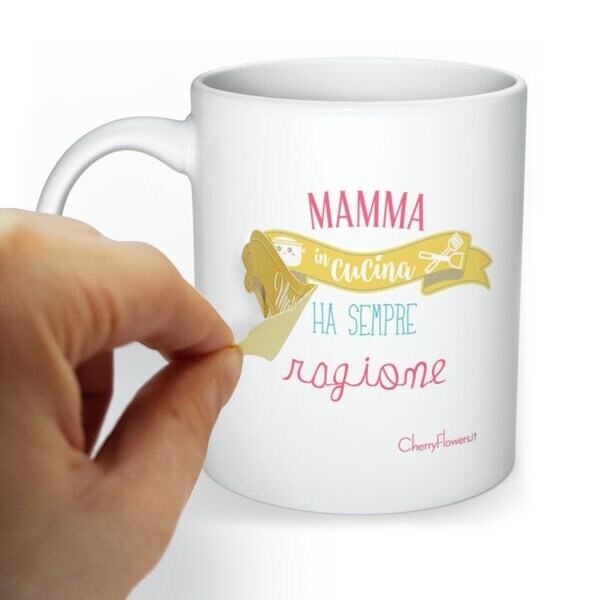 Nice gift idea for a good cook, the phrase will be: "Mom in the kitchen is always right"